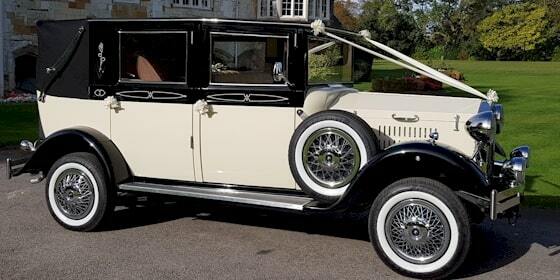 Viscount Wedding Car Hire In Reading, Berkshire. 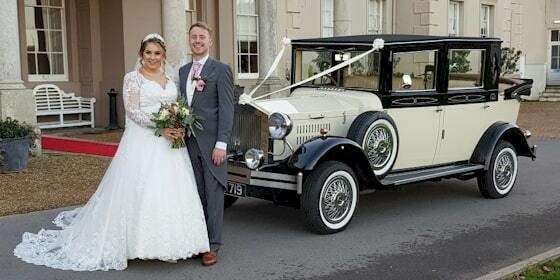 Our 1930's vintage style 7 seat Viscount wedding limousine is sure to add a touch of elegance and style to your wedding day, together with the safe and sure reliability of modern technology. Fold down the rear hood for that must be seen photo opportunity and enjoy the attention the Viscount attracts in this ultimate classic car experience. 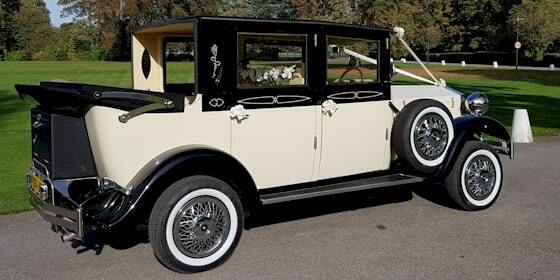 Our Viscount wedding limousine is finished in Old English White with contrasting black coachwork. 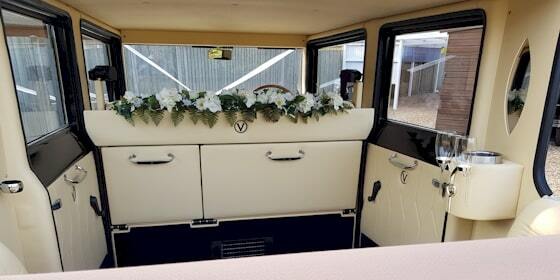 The interior is beautifully hand crafted in luxurious cream leather and blue carpeting with cream edging. The Viscount is a perfect match to our Bramwith, Royale Windsor and Badsworth, if 2 cars are required. As shown in the photograph to the right, the rear seats behind the drivers cabin fold down allowing the car to seat 7 passengers in considerable style and comfort.